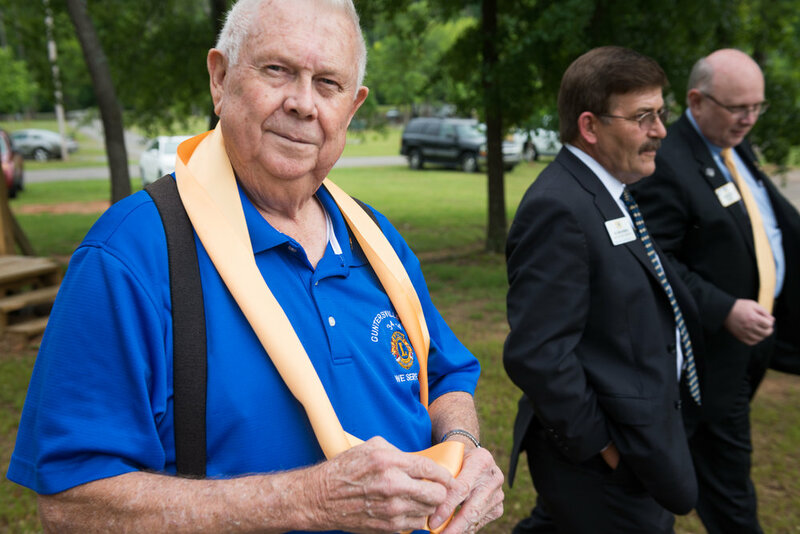 Lion's Club International Director Bob Corlew was in town today for the dedication of the Guntersville Lions Club's legacy project, an outdoor classroom at Lake Guntersville State Park. Mayor Leigh Dollar was in attendance as well, to assist in the ribbon cutting during the dedication ceremony. Director Corlew and Guntersville Lions Club president, Larry Bagley also unveiled a carved statue presented by the Guntersville Lions Club, of a lion, eagle, and fish. Symbolic of the Lions Club, Lake Guntersville State Park, and Lake Guntersville itself.